Always operate under adult supervision. Extra caution and supervision is required for children aged 3 and under. 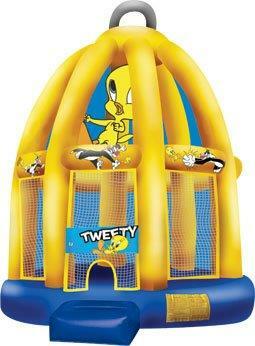 Adults can have a bounce too, but never allow adults or older kids to bounce with smaller children. A parent can certainly go in the castle to supervise their child. Individuals with head, neck, back or other muscular injuries or disabilities, pregnant women, small infants or others who may ba susceptible to injury from falls, bumps or bouncing are not permitted in the unit at any time. No flips or extreme horseplay permitted. DO NOT bounce near the entrance. Remove shoes, glasses and jewellery. No sharp objects allowed inside inflatable. Stay off netting at all times. Keep toddlers from putting netting in mouth. No persons over 100 KG allowed inside inflatable. No one is allowed inside Inflatable while it is being inflated or deflated. In case of rain and/or lightning, have children exit Inflatable and turn off motor. In case of accidental power outage to unit, have children exit Inflatable then check for disconnection. All our equipment is tested and tagged for your peace of mind.